How are Events populated in newsletters? When a new event is added, it will first populate in the subscriber’s newsletter as a story - by design so events will be shown to each audience member based on how engaging the event would be to that person. To bring extra attention to your event, mark it as a “Top Story” to push the event to the top of their newsletter. Only events in the next 30 days will appear in your Cerkl's newsletter. 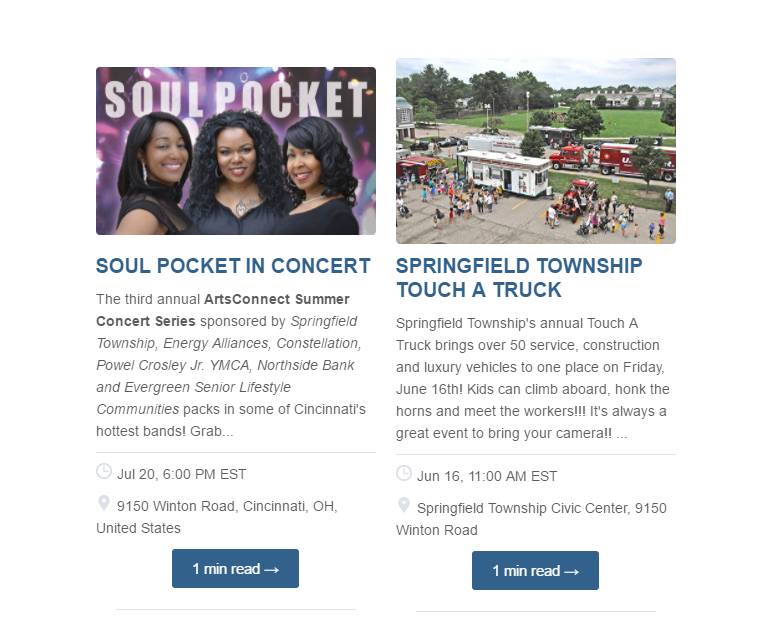 Tip: We recommend being sure to add your events to Cerkl in advance of your send date to ensure that the event will show up as a story in your newsletter and then in the "Upcoming Events" section of your newsletter (for those subscribers on the default frequency schedule). For example, if your default frequency is once a week, we recommend publishing your event at least two weeks before the event date.